Let’s face it — one of the great advantages of ClickBank is also one of its problems: the affiliate program is easy to join, and ClickBank products are easy to to promote. Which means you can, and probably will, face competition. This article addresses two different aspects of increasing your ClickBank sales. First, how to ensure that you get the sale of a particular product that you are promoting (other than just additional marketing strategies). Second, how to sell more ClickBank products overall. When you have set up your affiliate link, one of the first things you want to do is to make sure that your affiliate link is working. If this seems obvious to you, let me assure you that it is not — more on that in a moment. Where “yourCBid” is your ClickBank affiliate ID. Now, some folks have figured out ways to “hijack” ClickBank affiliate IDs. And others have figured out products to prevent that. One of these products is called Affiliate Hijacker — and consists of hosting the actual ClickBank sales page on your own domain. If you decide to do this, you should check with the ClickBank merchant to make sure that this is okay with them. 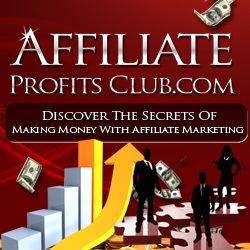 One unknown affiliate uses this strategy, but failed to put their affiliate id onto the page. Since the domain owner is private, the ClickBank merchant has no way of determining who the affiliate is, but regularly receives sales from that page. Finally, the way to ensure that you get credited with the sale is to offer a unique and valuable bonus that the buyer can only get if they can prove they bought the product through your affiliate link. Now, another way to increase ClickBank sales is to sell more different ClickBank products. What’s the easiest way to do this? Well, when you promote a ClickBank product, you should be doing so by having your ClickBank affiliate link on a site that you own. Why? Because, once having gotten someone on your site you want to get them onto an email list. Make sure that you make your visitor an irresistable offer to sign up to your email list. If you are promoting a weight loss product on your page, offer some valuable hints or maybe coupons for diet products in trade for signing up to your list. Once on your list, you can promote the original product again, in different ways — but you can also promote other weight loss-related products that you find on ClickBank.